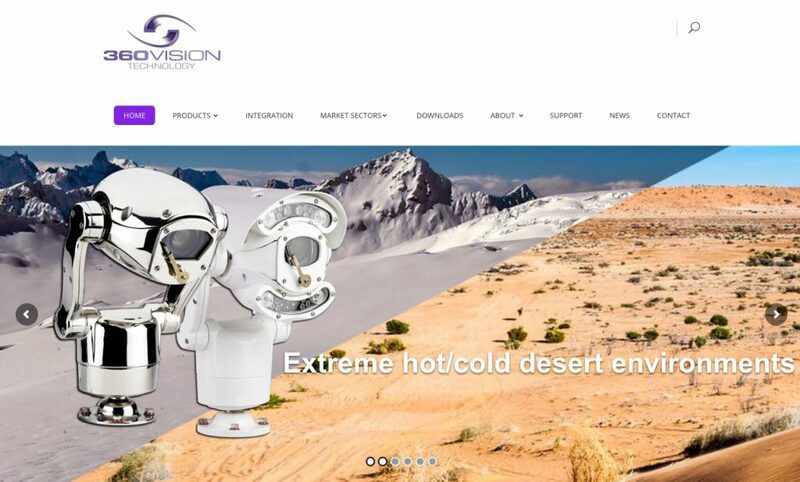 Employing easy navigation to support customers’ needs to source a variety of product, integration and support information, 360 Vision Technology, the leading British CCTV design & manufacturing company, has launched a brand new website. Hosting a broad mix of invaluable information useful for any surveillance system designer, specifier, or installer, as well as containing in-depth information about 360 Vision Technology’s range of standard and high-performance imaging cameras suitable for any application, the new website features downloadable product data sheets, brochures and manuals, integration partners, VMS compatibility solutions, and support contacts. Visitors to the new website can find in-depth camera and ancillary product information covering surveillance solutions suitable for internal or external, site perimeter, sterile and hazardous area, or zero light surveillance requirements.